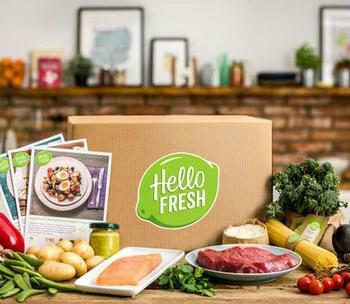 Starting Wednesday, HelloFresh will start selling meal kits at 581 Giant Food and Stop & Shop stores, with more retailers to be added this year. Tobias Hartmann, the company's president of U.S. business, said the move into retail may benefit consumers as well as grocers. "Our retail line reduces the pressure on grocers to create these meals themselves and easily integrates into growing areas of their business such as online grocery and delivery," Hartmann said in a statement. HelloFresh joins other meal delivery services that have branched out from doorstep delivery. Last month, Blue Apron announced that it would start selling meal kits at Costco. Plated announced in April that it would selling its meal kits at Albertson’s, and Walmart announced that it would be expanding in-store availability of its own line of meal kits back in March. By partnering with brick-and-mortar retailers, meal kit makers are hoping to bolster their business by addressing the needs of a wider range of customers. “HelloFresh strikes a chord with households that want fresh dinners on the table, without artificial ingredients or overly complicated recipes,” Hartmann said. The company said the move to retail was supported by a network build-out. It expanded from five to 11 facilities, with more expansion to come. HelloFresh’s meal kits are expected to cost between $14.99 and $19.99. Each pre-portioned meal takes less than 30 minutes to cook, according to the company. You can learn more about HelloFresh by reading reviews of the company here.